I love seeing botanical wedding centerpieces! This time of year, nearly every grocer, garden center and farmers’ market boasts a wide variety of fresh herbs for sale. This summer, take advantage of local agriculture by incorporating herbs such as thyme, rosemary and lavender into a centerpiece. They have a casual, yet homey feel to them. Fresh herbs, which come in a variety of colors and textures, also make fragrant additions to your bridal bouquet. 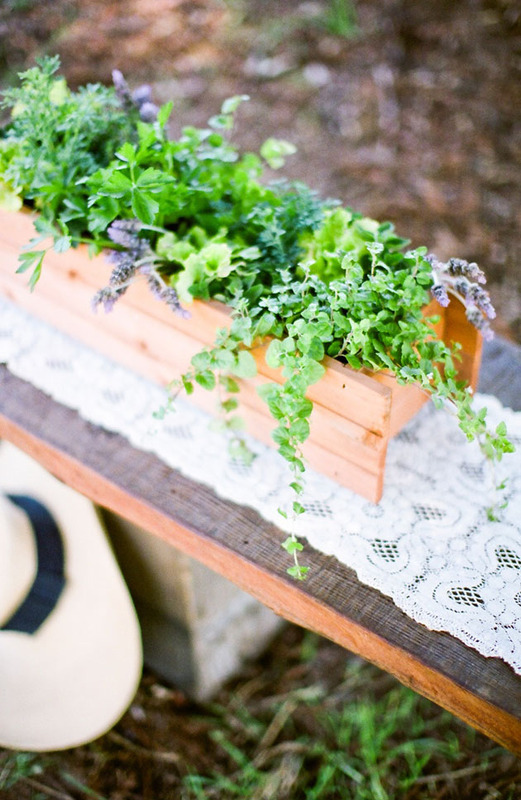 Here's an easy and pretty way to create a herb centerpiece. I came across this mini-tutorial by Santa Barbara Chic! At the end of the day, you can consider offering your guests the potted herbs centerpieces as favors that they can take home and enjoy in their own kitchens.